As described in the previous post, the best - and the priciest, and the hardest to install - scope mount is the Dragunov side rail. This post describes how to install it. Most Mosin Nagant rifles made during WWII in Russia have no historical value. Majority were rebuilt in Russian arsenals after the war from a smorgasbord of non-matching parts, sealed in cosmoline, and put away. You can safely treat these rifles as a LEGO set - it is OK to permanently modify it. And modified it will be - the stock will have to be dremeled to create an opening for the side rail, and the bolt handle will be replaced. If, however, your rifle has matching numbers (especially if bayonet number matches as well! ), have been made before the war, and is in excellent shape, you might want to buy extra parts instead of modifying the originals. Preserving original stock and bolt body would allow you to restore your rifle to its exact original shape easily. Note: I think modifying a pre-revolutionary Mosin Nagants in any way, shape, or form is an act of pure barbarism. There are not so many of them left! If you are a lucky owner of a pre-1917 rifle, and want one with the scope, please let me know and I will be happy to trade a finished one - with the rail installed, and bolt bent - for it. Or two unfinished ones :-). If you want to preserve the original parts, you will need to procure the parts you will modify - the stock and the bolt body - separately. The stock is easy to buy, for example, http://www.buymilsurp.com/ has a whole lot of them in various conditions. Since you can reuse the metallic part, you will have to refinish the stock (see below), and you do not need the handguard (it only makes the rifle less accurate), you can buy a cheaper part. For example, as of this writing, there were plenty of very acceptable variants in the $25 range. On the other hand, procuring the bolt body is very, very hard. You only need the bolt body, not the entire bolt. 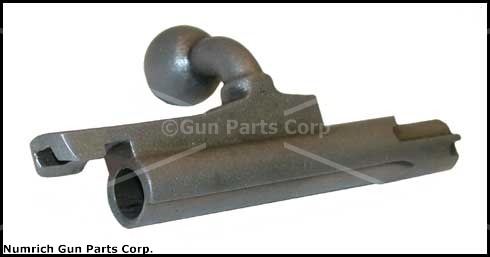 In fact, because you probably do not have a headspace gauge, you will need to reuse the rest of the components of the original bolt because it matches the rifle (to learn more about headspace, and what can go wrong if you don't pay attention to it, read this: http://www.surplusrifle.com/shooting/headspace/index.asp). 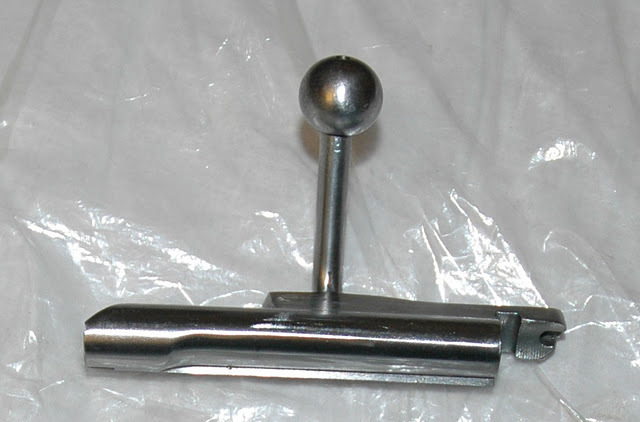 Bolt body is the part to which the handle is attached. There currently is not a good place where bolts or bolt bodies can be purchased. The cheapest, but an unreliable source is your local gun show - there typically would be a few available for $10-$12. Unless you are in Seattle area, because I bought up every one that was available locally :-). An unknown type of the already bent bolt body is sold here: http://www.tngunparts.com/m9130.htm. See below (in the Bolt Body section) for precaution - the bolt handle needs to be replaced, not just bent. Failing that, look for ads for surplus rifle parts in Shotgun News, there usually is a place or two where you can get complete bolts for $25-$40 a piece. I bought quite a few there. Check http://www.ebay.com/ or http://www.auctionarms.com/, the parts occasionally show up there. Boltman (http://www.mosinnagant.net/Boltman/Boltman.html) sometimes has them in stock, but more often he does not. If he does, the price quoted on the page above ($55 for the whole thing) is very, very attractive. Failing all that, you can buy a rifle in a very poor shape and cannibalize it. If you have a C&R license, you can often find them on the Internet for less than $40. Failing everything else, the bolt bodies can be purchased for $34 from Numrich store at http://www.gunpartscorp.com/catalog/Products.aspx?catid=3258. Yes, this is ridiculous considering that the price of a gun was ~$100. Remember the headspace, however - do not move the entire bolt from rifle to rifle! You will need the following things for the project. (1) The rail from http://www.kalinkaoptics.com/. $25 plus a ridiculous shipping price. Tough luck: this is the only place where this particular component can be found. 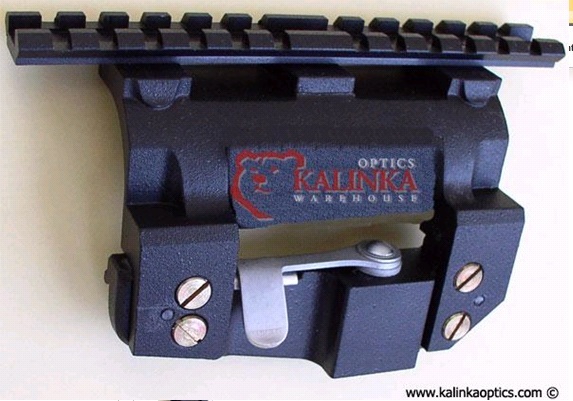 On their web site, Browse Category -> Firearm Accessories -> Side Rails (http://www.kalinkaoptics.com/firearm-accessories/side-rails.html). Be careful not to buy the undrilled side rail for $15 - it is too thin and will not stick enough to protrude above the stock surface. 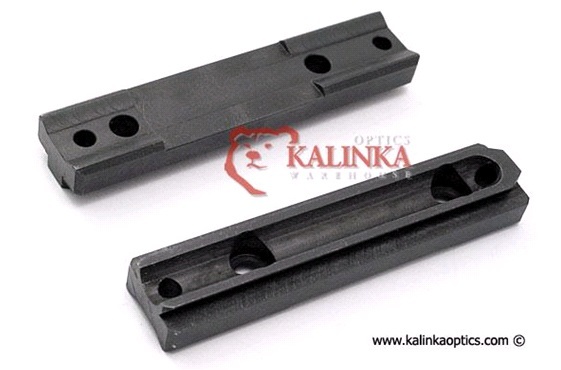 (2) "Original BP-02 SVD, PSL, Tigr Low Profile Centered Side Mount to Weaver Rail" from http://www.kalinkaoptics.com/, $53 (plus the above "arm and leg" for shipping. Combine with (1) and it will be slightly less offensive). "Low profile" part is very important. This can be found in Browse Category -> Mounts -> SVD, Tigr, Romak-3 (http://www.kalinkaoptics.com/mounts/svd-psl-tigr-romak-3.html). (3) Stock that you will feel OK modifying (see "Preserving the original rifle" above). (4) Bolt body that you will feel OK modifying (see "Preserving the original rifle" above). (5) Drill bit #11, drill bit #21, 10-32 tap, T-wrench to hold the tap, and 2 10-32 x 1/2" screws. This is available in the local hardware store (for example, ACE). 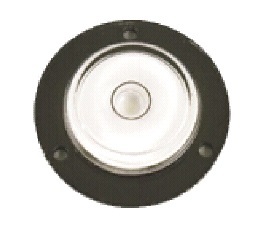 Get the ones that are the best quality, designed for hardened steel. (6) Cutting oil. This is a bit hard to find, but I tracked it down in Lowe's and in ACE. Home Depot does not have it. 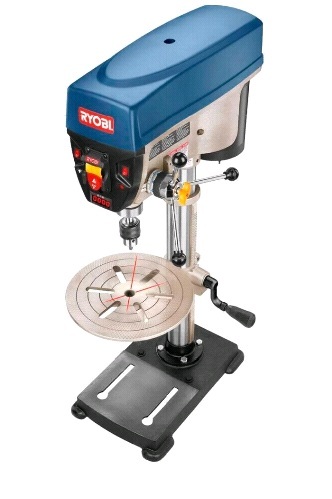 (7) Drill press. Local hardware store, $120-$180. (8) Drill press vise. Home Depot, $16. A few large matching bolts, nuts, and washers to fix it to the drill press table, same source. (9) Small bulls eye level. Home Depot. (10) Paint stripper, for example, Citristrip (http://citristrip.com/). Sand paper (coarse and fine), steel wool (fine). Two brushes. Gloves, paper towels, 2 wood blocks, old newspapers. Local hardware store. (11) Wood stain of your choice. You should defer picking the color until you have stripped the stock of its current paint. 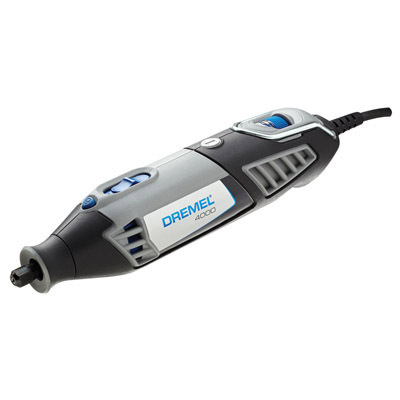 (12) A rotary tool like Dremel. (13) A gun vise or an inexpensive shooting rest. 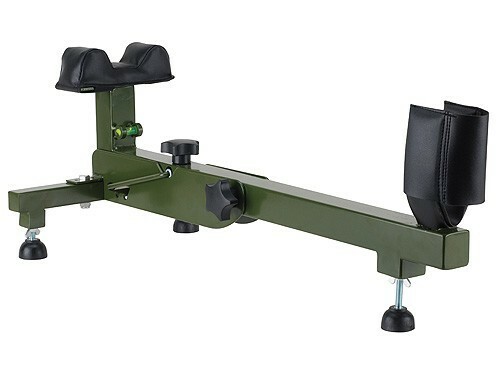 http://www.midwayusa.com/, $20-$60, depending on whether you want to have something you can use for shooting, or just mounting the gun for cleaning and scope alignment. (14) A laser boresighter. http://www.midwayusa.com/. There is no picture here because I really cannot recommend any particular model - the choice is between an expensive and crappy one ($150 LaserLyte Kryptonyte Green Laser Boresighter 22 to 75 Caliber), and a less expensive but equally crappy one ($30 Sightmark Laser Bore Sight 243, 308 Winchester, 260, 7mm-08 Remington). Price/performance of the Sightmark is better. The above-referenced caliber (243) works for 7.62x54r, although the bolt does not close. This is OK, the bolt does not close in 308 rifles either. To work with any scope mount other than the scout mount, the bolt handle needs to be turned down. This is because when the bolt is open, it's handle sticks upwards and interferes with the scope. There are several ways this can be accomplished. First, there is an ATI bolt handle kit that costs around $20 on eBay and contains the replacement handle, the drill bit, the tap, and the screw. The result does not look amazing, and requires notching the stock because the handle extends directly down when the bolt is closed. The picture below looks nicer than the reality. The turnaround time is about 2 weeks including the mailing time. This is the "mechanical" part of the project. You will need to drill and tap 2 holes in the receiver to attach the side rail. To do this, you need to attach the side rail to the receiver temporarily to drill the very first hole. It goes on the left part of the receiver so that its top is close to flush with the opening in the action. This time I suggest you remove the trigger group by unscrewing the single screw that holds it on the receiver. Mounting the receiver in the vise is hard as it is, without extra parts sticking out. Before you mount the receiver, ensure that the drill table is horizontal by using a level. You will need this to align the receiver surface to be perfectly horizontal afterwards. Place the rail in the side of the receiver. I do not know if there is "the" right spot. The receiver is curved, and on all 3 rifles on which I put the side rail the scope ended up pointing up and to the left relative to the barrel axis. This is OK: the problem will be corrected by shimming the mounting bracket. See the couple of pictures above for approximately right location. The legs on the rail should obviously hug the receiver and not hang out through the action's opening. Fix the side rail in place. You can use either a very small clamp, or wrap it tightly using electrical or duct tape. Make sure that neither cover the opening which you will drill. 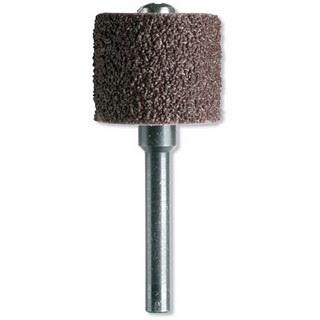 Plug the chamber with a tight wad of paper towel to ensure that the metallic debris from drilling does not end up in the chamber or the barrel. Place the drill table vise on the drill table. Do not yet attach it with the bolts. Place the receiver on the vise, tighten the vise as little as necessary so that the receiver does not slide. Guide the system so that the hole in the side rail is approximately below the drill's chuck, and at the same time all four of the mounting openings in the vise intersect with the mounting openings on the drill table. Adjust the drill table to a height where the drill bit can be lowered sufficiently to drill through the receiver. Put the bolts through the mounting holes. Use the washers on both sides, and screw them down so that the whole system can move about with some friction. Now place the bulls eye level on the side rail, reopen the vise jaws just a little bit so that receiver can be reoriented, and move it slightly so that the bubble of air in the level is right in the center. Reclose the vise jaws and tighten them, while monitoring the bubble - when jaws are closed the receiver might shift and the leveling action will have to be repeated. Now that the system is aligned horizontally, put the larger drill bit in the chuck. Tighten. Do not turn the drill on yet, but lower the chuck to see where it would touch the metal. By moving the vise slightly ensure that the drill bit goes exactly through the hole in the side rail. The larger drill bit should fit tightly through that hole. When it's in, rotate it around to make sure that the system is perfectly aligned and the drill bit does not scrape the metal of the side rail. Tighten the bolts that fix the vise on the drill table. Lower the chuck again to make sure the position did not shift. Rotate it around again. Put the eye protection on, turn on the drill and lower the larger bit just enough to make a small crater, just the diameter of the drill but not deeper than necessary, on the steel of the receiver. Raise the chuck and replace the drill bit with the smaller one. Lower the chuck to ensure that the system is still aligned. The drill bit should touch the metal right in the middle of the crater left by the bigger drill. If the drill has an adjustable RPM, set it to medium low (800-1200). Place a drop of the cutting oil on the receiver where it will be drilled. Note that cutting oils are toxic, do not let it anywhere near your exposed skin. Use gloves! Drill slowly, raising the chuck to clear the metal debris out of the hole often. Do not apply a force that is more than 20lb (100N). 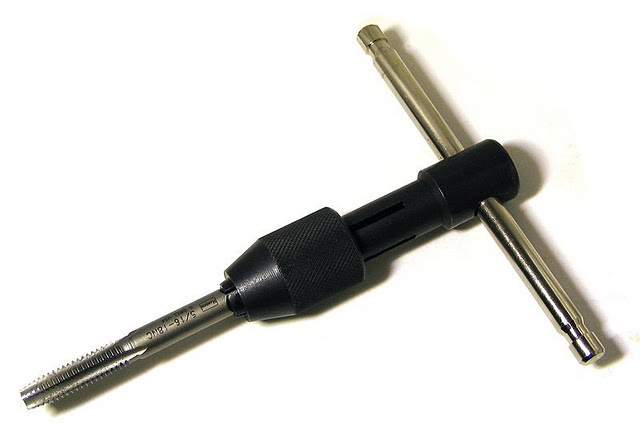 This is very important, or the drill bit can break and stick in the hole, and it might be impossible to remove it! When the hole is drilled though, remove the receiver from the vise, and remove the side rail from the receiver. Using paper towel (and gloves!) clean all metal debris from the receiver. Put another drop of cutting oil (gloves!) on the tap. Rotate it and guide it in the hole, maintaining perpendicular angle to the receiver. Go lightly, reversing the direction, cleaning the debris and reoiling frequently. A broken tap is a disaster - it is made of a hard alloy and if broken is next to impossible to remove. When the thread is cut (the widest part of the tap is through the hole), remove the tap, clean the receiver and the new thread using paper towels. You can now screw the side rail to the receiver using the newly made hole and one of the screws, and repeat the process for the next hole. Useful hint: when tapping the second hole, keep the side rail in place (but clean the drilling debris out! ), it will help guide the tap. This is the last part of the project. Now that we have a rail on the side of the receiver, the stock will not fit and a cut out needs to be made to accommodate the part that is sticking out. Also, the height of the side rail is somewhat smaller than the thickness of the stock, so a small layer of wood needs to be removed from the left side of the stock so that the rail is exposed enough. Because quite a bit of finish will be removed to accommodate the rail, we will need to refinish the stock. If you have done this before, just go with what you know, not what I write here. I am a complete novice to wood finishing, and the results I personally achieved are functional, but not beautiful. First, use the paint remover to get the current finish off. You will need a brush, a paint stripper, steel wool and sand paper for this. Citristrip is a paint stripper that can be used indoors, other must be used outside. Make sure that the weather is right! Vast majority of them are health hazard so be cautious and read the instructions before starting. I found that a combination of Citristrip followed by the classic stain remover works well. Although most of the paint/wax/whatever it is will come off, some coloring will still remain. You can probably get closer to clean wood by sanding it off with sandpaper. After you got as much previous stain off as you think is practical, pick the stain that will (1) survive outdoors, and (2) will either match the previous stain closely or be dark enough to cover the remaining traces of the older stain. I chose the later route, so that's what you see in the pictures. ...to take care of the corners. Replace the receiver to see how much the opening needs to be deepened. Keep doing this until the screwed down receiver can go into the stock all the way and the side rail still does not touch the stock. Now take the scope or the mounting bracket and try to slide it onto the rail. You will see that the side of the stock prevents it from engaging. Again, using the rotary tool keep removing thin layers of the side until the scope mount can slide onto the rail. Take a look at the picture below and note the depression cut out on the stock to accommodate the externalities of the scope mount. After the barreled receiver fits (do not forget to screw it in and tighten the screws before ensuring that the rail does not touch the stock), and the scope mounting bracket fits on the rail, you are ready to apply the stain to the stock. Disassemble the rifle back. Using the instructions for your stain and working in an open space (the fumes are toxic! ), apply a coat of stain, let it dry, then repeat twice, applying the total of 3 layers. After the stain dries completely (this will take a day), reassemble the rifle fully. As I said above, the side rail will not be precisely aligned with the barrel axis. In all my mounts "out of the box" the scope will point high and to the left. This misalignment may or may not be correctable by the scope's internal adjustment mechanism, but it is much better to instead adjust the scope mount so that the scope's natural axis is in alignment with the barrel. There are a few reasons for aligning the mount instead of adjusting the scope. First, the mount is probably pointing high. Even if you can adjust the elevation on the scope, your scope will be close to out of the adjustment range pointing down. So when you would want to move it down for shooting at 200/300 meters, it is very likely that you will not be able to do it because scope's adjustment range will already have been used to compensate for the rail. Second, scopes near the edge of their adjustment ranges tend to not keep zero as well as they do when they are centered. Adjusting the Dragunov-type mount is actually very easy. The bracket's top rail is attached to the middle part by two screws, and the middle part attaches to the part that goes on the side rail with 4 screws. 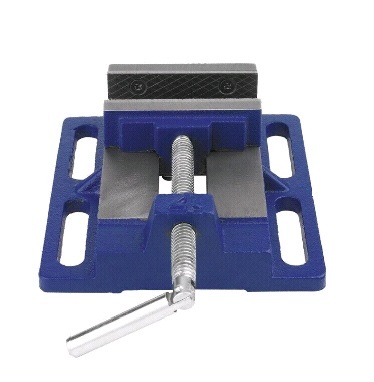 The windage (horizontal) adjustment is achieved by putting shims between the middle and the bottom part, and the vertical adjustment is achieved by shimming the rail. I use aluminum strips from soda cans for shims - they can be stacked to achieve exactly the necessary thickness. Attach the scope to the mount. Ensure that the scope's optical axis is centered. To do this, loosen the scope in the rings and rotate it while observing the cross hairs through the eyepiece. If the scope axis is centered, the impact point will be the same while the scope rotates. Use windage and elevation adjustments to center the scope. When the scope is centered, tighten the rings. Turn the laser boresighter on and put it into the chamber. Put the gun in a vise and point it to the wall some distance away (10 meters or more, depending on the minimum distance at which your scope still focuses). Note where the scope's cross hairs are, relative to the laser beam. Turn the boresighter off. You will need to make several measurements, and the batteries are only good for minutes (despite what the instructions claim). Disassemble the scope mount, and measure the sizes of the holes and distances between them. Cut off several rectangular pieces of aluminum foil from the side of a soda can. Initially make them much larger than is really needed. 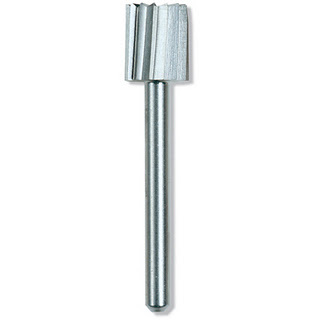 For the top shims you will need to drill one big and one very small hole next to each other. For the bottom shim, you will need two holes of the same size. The drill press will help here. It is easier to drill the holes when multiple layers of the aluminum are bunched together. After the holes are done (plan to waste a few pieces to practice) you can cut around them to size. Add a few shim pieces, reassemble the mount and replace the scope. Turn the laser boresighter on and observe the new impact point. The goal is to have the cross hairs about 1"-1.5" ABOVE the laser mark at 10 meters. The actual scope axis is about 2" above the barrel axis, but you want to make the centered scope point a little bit DOWN so that it does not run out of DOWNWARD alignment when shooting at distances beyond 100 meters (to track the bullet trajectory the scope gets turned down as the target is farther away). You will have to do a few passes to get the scope almost right. It does not have to be completely on target - the last final touches are worked out using the scope's internal adjustment mechanisms. Do not spend too much time on it until you get to the range though - the accuracy of the laser boresighter is only within 10" at a 100 meters, if even that. It will get you on paper and you will use the scope's controls to get on target from there.